For a limited time, save 10% on the case system plus hand and neck strap bundle. For a limited time, save up to $50 on the padded, adjustable hand strap bundle. Digital disruption has streamlined operations and enabled smarter processes in the manufacturing sector. It’s time to embrace Industry 4.0 with smart factory solutions that power factory automation. Samsung has an extensive suite of innovative and fully-integrated manufacturing automation solutions that seamlessly transform the physical into real-time, digital intelligence. Our best-in-class tools predict the need for asset maintenance, provide unmatched real-time inventory visibility and boost productivity optimization. From anywhere, anytime. From the office to the manufacturing floor, the Galaxy Note9 with Samsung DeX lets you connect to workstations and work on the go with one easy-to-carry device. So tasks from pulling up equipment records to checking inventory, resource planning and schematics are seamless from point A to point B. The Galaxy Note9’s S Pen enables a seamless transition from paper record keeping to digital while keeping your team productive and on-the-go. Now, it’ll feel natural for your team to handwrite digital notes, with or without their gloves on. The S Pen’s intuitive design makes it easy to grab, go and use, without any of the frustrations associated with learning a new technology. Give your team the single go-to device they need to effortlessly move between the floor and the office. Whether they’re in the warehouse or on the assembly floor, the new super powerful Galaxy Note9 can do it all—record a problem on the line, check inventory, order supplies and more. With DeX, your team can extend their Galaxy Note9 into a familiar desktop-like experience with a monitor, keyboard and mouse. They can start work in the office and then seamlessly continue work on the factory floor, without interruption or duplication of efforts. Working seamlessly has never been this easy. Significantly reduce downtime. Optimize uptime. Today, production on the assembly floor runs faster than ever. Mechanical breakdowns can happen just as quickly. By identifying and capturing data from physical assets, Samsung and Harman smart factory solutions provide system-wide visibility across all of your operational events, in real time. Find out how Samsung wearable technology helped Magna get started on the road to becoming a smart factory. With Samsung and Harman IoT solutions, data is immediately accessible and actionable. Operation decisions can then be made to optimize automation uptime. Real-time data lets you secure the predictable delivery of services for assets and improve operational efficiency, helping to save costs and creating new value. Samsung’s range of connected technology and rugged devices eliminates the use of paper-based record systems with near perfect accuracy and time-efficiency. Through partner solutions and accessories—like SCANDIT barcode scanning software and KOAMTAC scanner and charging cradles—Samsung ruggedized tablets and smartphones can be transformed into mobile barcode scanners while enabling field workers to be more productive in a variety of other tasks. Reduce the impact of human error and improve data credibility, inventory and asset management. By integrating IBM Maximo’s asset management program into Samsung mobile devices, like the Galaxy Tab Active2, mobile workers can complete tasks such as equipment inspection and maintenance, all paper-free. It also enables real-time analysis while on-premises or outside, easy updates of work orders and counting of inventory items, all while using an intuitive, friendly interface. Diebold’s deployment of Galaxy S smartphones with the Librestream Onsight application has significantly boosted the efficiency of newer technicians in the field, and reduced the need to pair less-experienced field service team members with more senior mentors. Equipping a workforce with highly-connected, secure Samsung devices and wearables elevates productivity and human-machine collaboration. Transform your smartphone from the Galaxy S8 and up into a desktop workstation, making any place a work space. Through a unique partnership with Samsung, Ingram Micro, Amazon and RedNight, Tamarack piloted a comprehensive mobile cloud-based solution using Samsung DeX and Amazon Web Services (AWS). Wearables in manufacturing enable the ability to react to machinery issues or assign tasks to floor personnel immediately. Samsung Knox is our defense-grade mobile security platform that you can trust regardless of the condition or situation. Built from the hardware to the application layer for easy manageability, Knox keeps hackers out and data safe. Strong from the inside out, the Galaxy Tab Active2 is a rugged tablet designed for work in the field. And by integrating IBM Maximo’s asset management program into the Galaxy Tab Active2, mobile workers in tough environments can complete tasks such as equipment inspection and maintenance, all paper-free. It also enables real-time analysis while on-premises or outside, easy updates of work orders and counting of inventory items, all while using an intuitive, friendly interface. ecom's hazardous area tablet, the Tab-Ex® 02, based on Samsung's state of the art Galaxy Tab Active2, leverages Samsung's know-how and brings a new level of customer focused solutions and increased ease of use to mobile workers in Oil & Gas, Refining, Chemical, Pharmaceuticals and other hazardous industries. Available only from ecom, a Pepperl+Fuchs brand. Sign up to get your free guide to modernizing your factories with mobile technology. 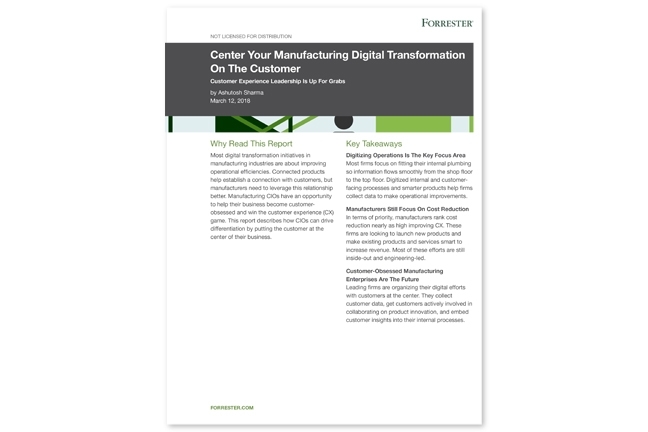 Sign up to download this white paper on how manufacturing CIOs can drive differentiation by putting the customer at the center of their business. The combined durability and functionality of the rugged smartphone has the ability to drive lean manufacturing. Please provide your contact details and our sales team will get back to you about Samsung's manufacturing technology solutions. Or you can call (855) 581-6892 to talk to an expert now.